Ringke Air makes installation a breeze! Super easy to install and remove. Ultra lightweight protection feels as thin as air yet strong to protect from daily use scratches or nicks. Premium material utilizes tough polyurethane construction to keep your device safe. Ideal fit naturally contours to your device shape with zero added weight. Ringke Air is designed to be the most lightweight case, you'll barely notice it's there! Secure your latest Samsung Galaxy S7 Edge with protection against daily use scratches and nicks without any unnecessary hassle or bulk. Flexible yet strong thermoplastic polyurethane material offers durability and defense for minimal daily bumps and scratches. 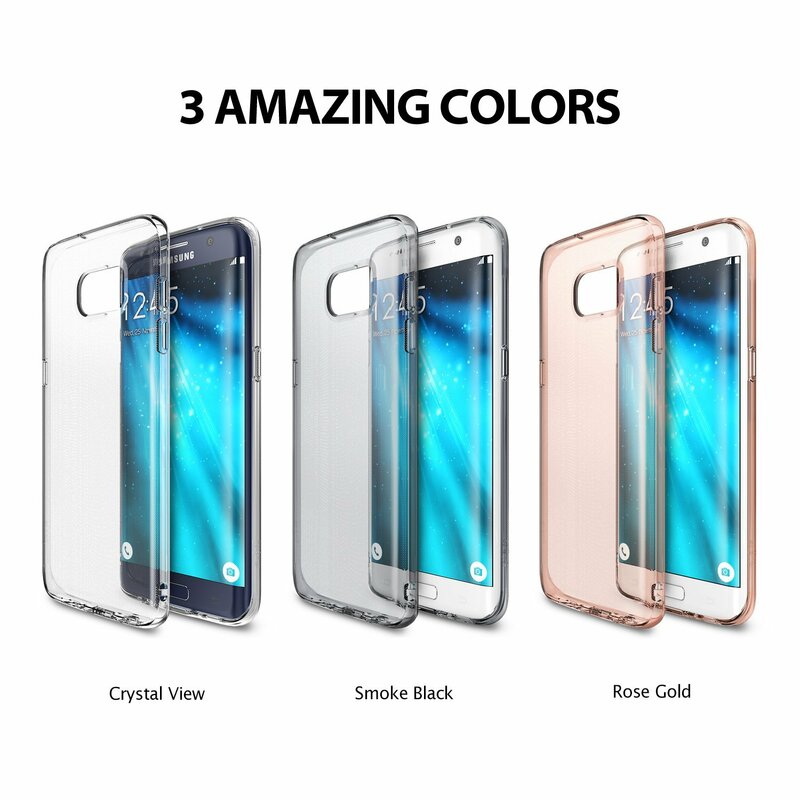 Designed to perfectly wrap around your device in an evenly dispersed layer of clear protection. Attached Dust Cap shields and provides convenient solution to dust attacks for your charging ports and audio jacks. 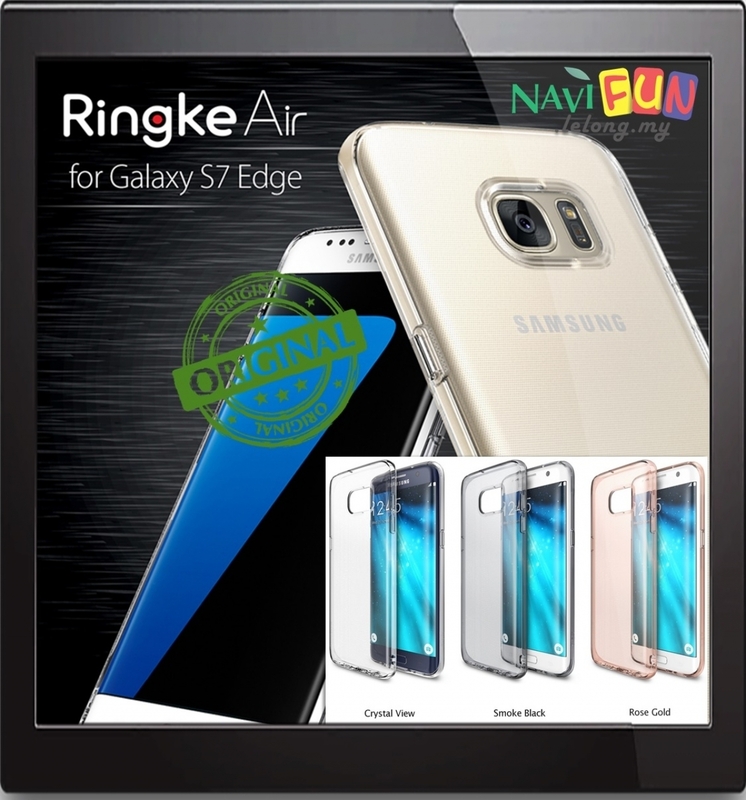 Safely maintain the device's sleek profile with the naturally contouring features of Ringke Air. Enjoy an ideal fit every time as Ringke Air fits snug on your device without any loose gaps or edges! and works like a second skin to allow better grip on you device than without the case. Ringke Air makes installation a breeze with one simple step to protect your device. Enjoy long lasting protection with durable crystal clear TPU layer that cushions daily use nicks or scratches.